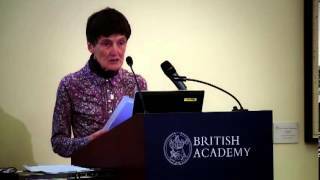 In the 2013 Raleigh Lecture on History, Medievalist Professor Dame Jinty Nelson examines the long association between Charlemagne (Charles the Great) King of the Franks and Christian emperor of the West, and Europe. She will explore and explain the variegated forms, meanings and functions that this association has acquired, been invested with and performed. She will also look behind myth and historiography, asking how and why Charlemagne and some of his contemporaries might have understood Europe as an imagined community.